It's been a rollercoaster week for The Boss - from reported backstage WrestleMania incidents to canceled TV appearances, to unfollowing WWE on social media - before rumors emerged that The Boss would even refuse to turn up for work. Sasha Banks exploded onto the main roster in 2015 as part of Team BAD, before quickly becoming one of the major players of the WWE Women's Revolution alongside her fellow NXT Horsewomen, and becoming one of the company's most decorated female Superstars. Things, however, have changed with recent reports emergin that Banks reportedly had two altercations after the match - one reported that Dana Brooke received a busted open lip in a backstage scuffle while the other said both Banks and Bayley took to the locker room floor to lie down and loudly, verbally voice their displeasure, then again outside one of their hotel rooms, before further reports emerged that Banks would refuse to turn up for work. This one may have gone under the radar, but WWE posted an article stating '5 moves we want to see in the Superstar Shake-Up' - and interestingly, Sasha Banks' name was there! Sasha Banks is a four-time Raw Women’s Champion, but those reigns only average 20 days. Frankly, she needs a fresh start. Why not venture over to SmackDown LIVE — a brand she’s always loved? The Boss grew up rooting for SmackDown mainstays like Eddie Guerrero, Kurt Angle and Rey Mysterio. Plus, before the 2016 WWE Brand Extension Draft, she basically said she wanted to compete on the blue brand. Could Banks be on her way to the blue brand? Sasha has made it clear that she’s focused on building up the Women’s Tag Team division alongside Bayley right now, but a move to Tuesday nights doesn’t mean Bayley can’t join her. 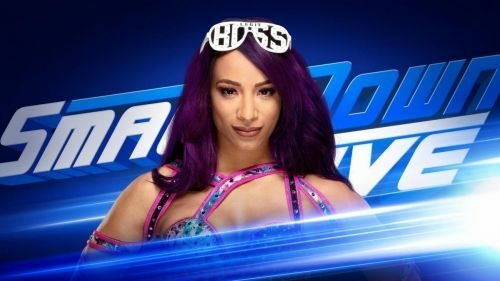 Whether it’s The Boss ’N’ Hug Connection or just The Boss, Sasha could live out her dream and become an all-time SmackDown great. Well, that really is anyone’s guess at this point. All we know is that the Superstar Shake-Up is imminent but will Banks be there? We don't need to wait too long to find out.